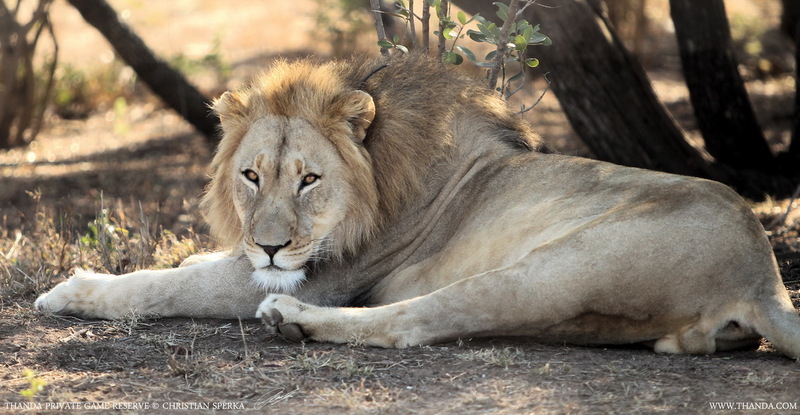 To maintain a healthy Lions gene pool and to control the number of Lions on Thanda, five of these magnificent cats have been moved to a new section of the reserve (called the Mduna Royal Reserve). The two adult females, two cubs and the dominant male will form a new pride in an area which had no Lions until now. A film crew from the UK (www.thebigsky.co.uk) recorded the capture and transfer of these Lions to the Mduna. In this image the Lions were still sedated as the Thanda Wildlife Team and the attending Veterinarian performed a “physical check” on each Lion. If you are interested to actively participate and contribute in Thanda conservation activities please contact research@thanda.co.za for more information.